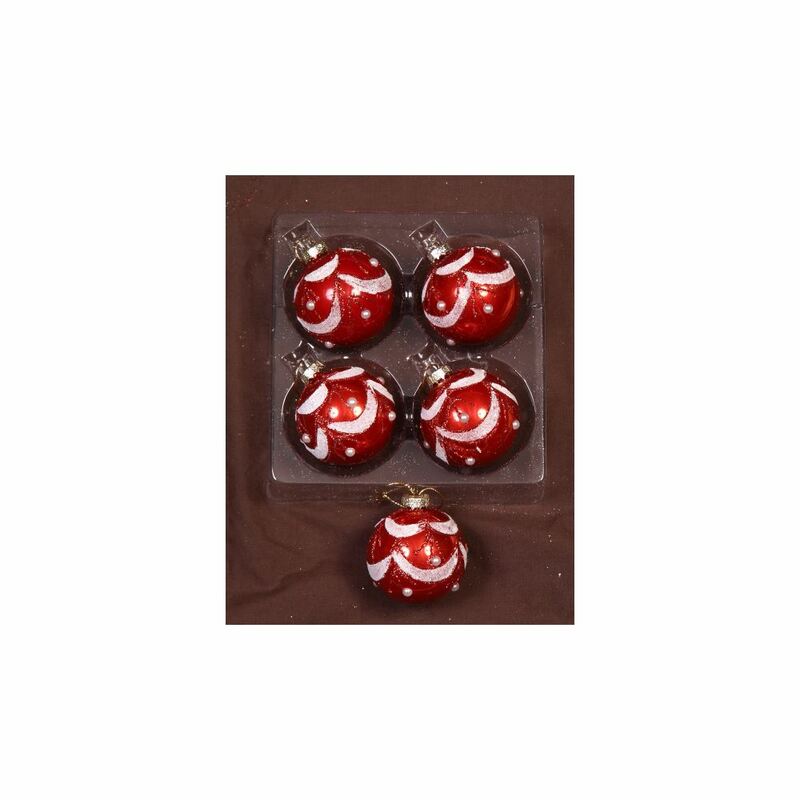 If you want a smaller bauble that still has plenty of classic Christmas appeal, try our 5 pack of 6cm Red Glitter Swag Baubles. Their red pearlised glass like finish, silver glitter and pearl coloured ball embellishments, and pretty silver tops that hold hooks or threads make them the perfect choice for an easy to hang bauble. Our Red Glitter Swag Baubles make a wonderful accent bauble with our Silver Glitter Baubles or Antique Silver Glitter Swag Baubles. They will also co-ordinate beautifully with large green and red bows. Because our Red Glitter Swag Baubles are shatterproof you will not have to worry about potential breakages or injuries this festive season – simply hang your Christmas Decorations on your favourite tree and enjoy.